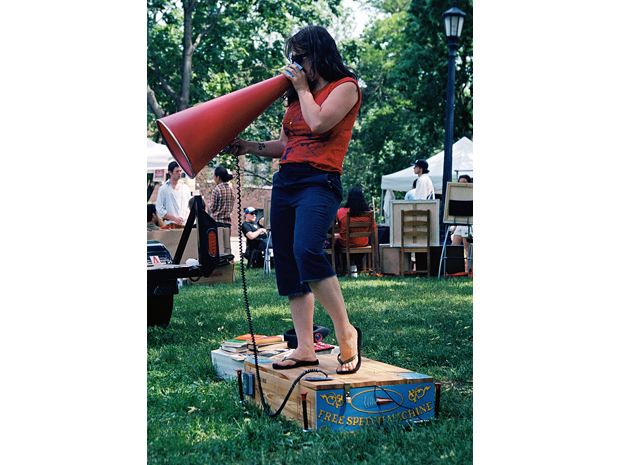 The Free Speech Machine is an interactive sculpture that investigates the interplay between physical and virtual public space through a wooden soapbox and giant red megaphone. 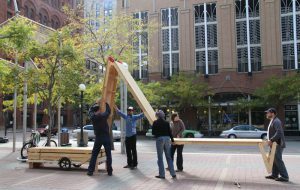 The Free Speech Machine is an interactive sculpture that investigates the interplay between physical and virtual public space through a wooden soapbox and giant red megaphone. 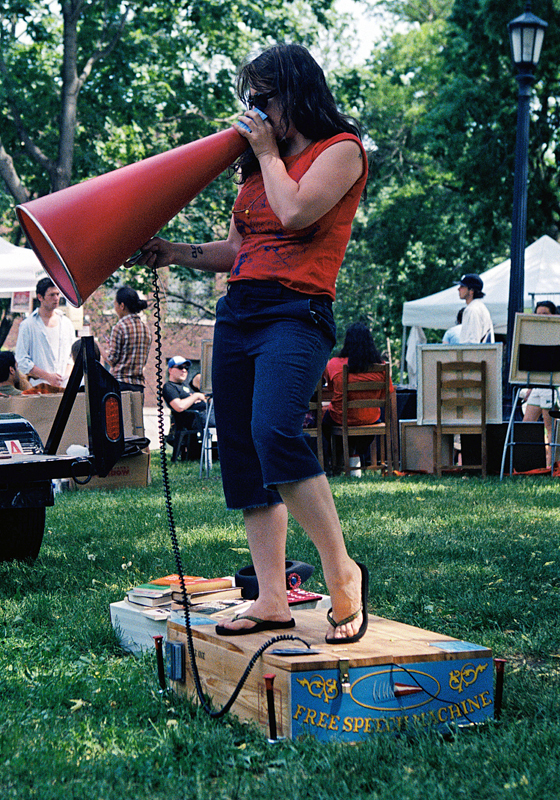 Participants simply step onto the box and pick up the megaphone and begin speaking. A voice-activated recorder installed inside the box records their speeches. Recordings are later uploaded to a blog, widening the audience for the speakers’ speeches. 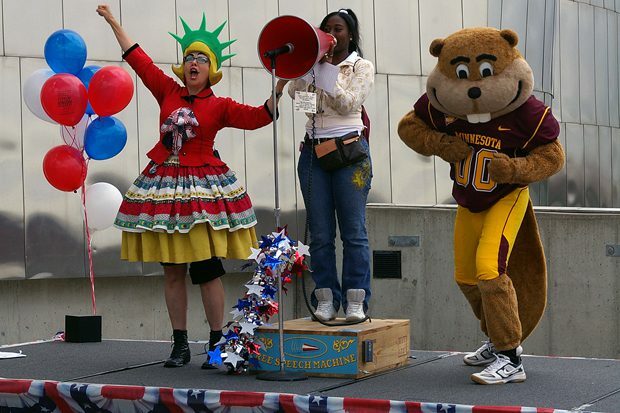 The Free Speech Machine can be used unattended or with a barker to add atmosphere and instigate participation. Unattended installations work best in indoor locations over longer periods of time (i.e. 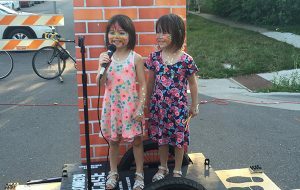 one week), while attended installations work well with outdoor events and festivals. Use the Free Speech Machine to collect opinions on a specific issue or as a way of finding out what is important to people more generally. 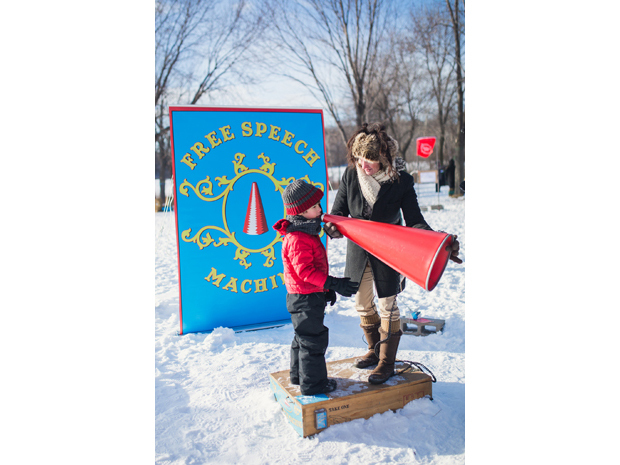 The Free Speech Machine helps create a space for expression and civic engagement. It starts at $200/day. 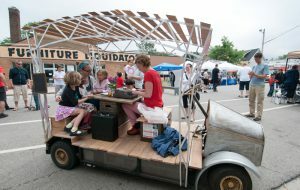 Standard Neighborhood Event Rate: $200/day Discounts for multi-day installations possible. Unattended installation, including set-up and take-down and editing and uploading of files. For installations including a barker, the rate is $75 per hour. 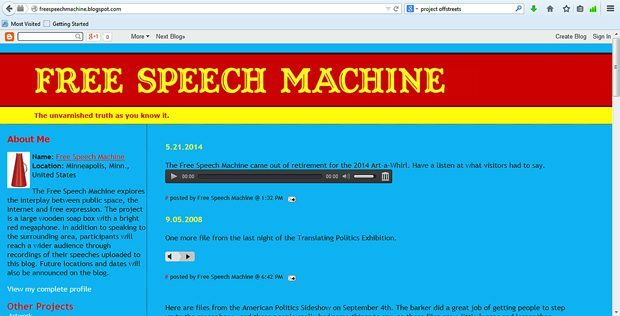 Free Speech Machine will work with you to create custom prompts that can help to solicit information related to your interests or issues. Included at no additional charge in this rate are set-up and de-installation and editing and uploading of the audio files to the weblog. $350/day Includes everything that comes with Standard Event. Additional Specification Details: The Free Speech Machine does not require power and can be easily set up anywhere indoors or out. It easily fits through a standard door.